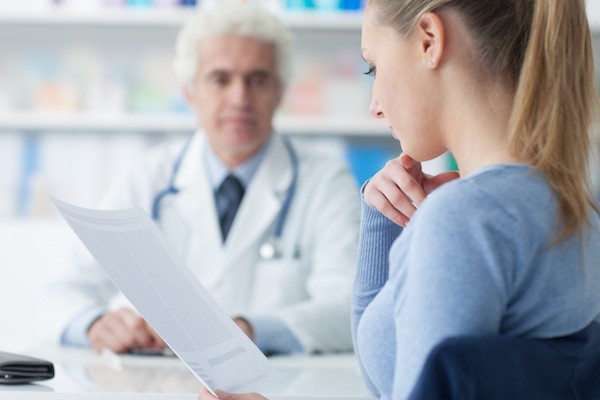 What’s the point of generating droves of leads for your practice if they don’t turn into consultations and patients? Plastic surgeons are starting to feel the pain of bloated “prospect” databases. They’re watching dollars go out on marketing, but simply not watching enough dollars come back in. And there doesn’t seem to be any procedure for removing the bloat. Often it’s a short spike and then back to business as usual. …you know the idea makes sense logically. Unfortunately, it brings in bunches of low-quality, high-maintenance patients. You know, the patients who will leave you a one-star Yelp review just because they didn’t like the paint color in your waiting room. We’ve heard some plastic surgeons call this the “Groupon Kiss of Death”. …the torch of offering discounts to get first-time patients has been carried on by most marketing agencies. The reason why your leads are not turning into consultations and patients is because your offers are being drowned out in a sea of look-alike, me-too offers. Why are you being reduced to a commodity, chasing after patients like a dog after cars? Because most marketing agencies deploy the same strategies on behalf of you and your competition …plus or minus a 10% difference. They’re all working from pretty much the same play book. It is any wonder that this creates an ocean of ‘me-too’ offers, making it nearly impossible for your prospective patients to make a choice? They go online to begin their research process for what might be a life-changing procedure, and they get that junk? It leaves them a bit paralyzed … which leads to indecision. And THAT is why you have a very expensive, very bloated, and very stubborn database of leads that won’t turn into patients and profits. If someone opts in for an offer of yours, they’ve also opted in with at least two of your competitors. You’re never marketing in a vacuum. And as bad as the ‘me-too’ offers are in the ads themselves, the follow-up marketing sequences – for those practices that even have one – are just about identical in their calls to action. All the worse for your prospective patient and for you ever turning that lead into a consultation. So from this, can I hazard a guess about a few of the things you wind up feeling? So what’s a plastic surgeon to do? …all address the symptoms they’re feeling due to ineffective marketing. But those steps don’t work because, well, they’re just putting Band-Aids on those problems. You want to know what the root cause is behind these symptoms? 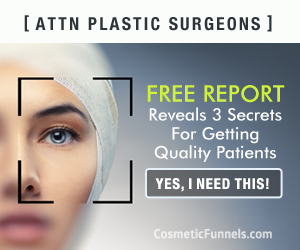 How does a plastic surgeon craft a compelling offer that cuts through the clutter, you ask?